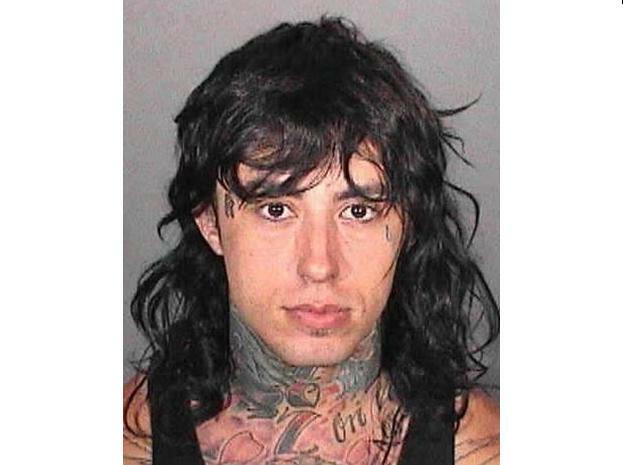 Though now out on bail, Falling In Reverse's Ronnie Radke was arrested on Monday, August 6 on an outstanding warrant for alleged domestic assault against his girlfriend, according to the Glendale News-Press. Radke was released, officials said, on $30,000 bail bond. He is expected to appear in court on August 14. The singer, no stranger to run-ins with the law, had spent 2-and-a-half years in prison prior to this charge, and was released in 2010. UPDATE 4:09 P.M. (EST): Below you can find a screenshot from the Los Angeles Sheriff's department inmate search website confirming the arrest and booking of Radke on August 6 by the Glendale Police Department. We have reached out to the band's team for statement and will keep you updated if we hear anything. UPDATE 6:00 P.M. (EST): Radke's team has stated that they have no comment on the matter at this time.